The principle of democratic representation can either be facilitated or undermined in multilevel settings. At the same time, the state of representative democracy itself is being intensely discussed, with scholars either pointing towards a crisis or a transformation. 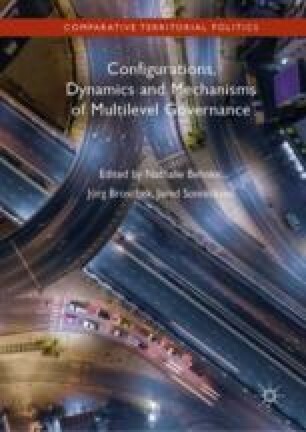 Against this double background, Hornig takes a policy specific view on responsiveness across levels in the case of aviation infrastructure as a special variant of the democratic dilemma of multilevel politics. The author compares the performance of two ways of interest articulation in generating cross-level responsiveness: parliamentary representation of negatively affected local areas and the use of direct democracy. Specific challenges of aviation infrastructure policy as well as cross-level responsiveness are explored. Cases of airport expansion in a federal (Munich, Germany), a unitarian (London Heathrow, UK) and a semi-direct democratic system (Zürich Kloten, CH) are analysed. Given the scarcity of previous research on aviation infrastructure as an issue of multilevel politics and democracy, the following investigation is primarily of an exploratory nature. Yet its result puts the question of the capacity of representative systems, especially confronted with multilevel, cross-jurisdictional policy issues, into perspective. Cross-level responsiveness is possible and rather a result of representational shares of affected groups than of direct democracy.